Acuite also believes that there will be a significant impact on the financial services sector in the state. According to the rating agency, the hospitality and the tourism sector is estimated to account for around 25 per cent of the GSDP and may witness an impact in the current year through a likely drop in tourist flows and the loss in property due to the floods. 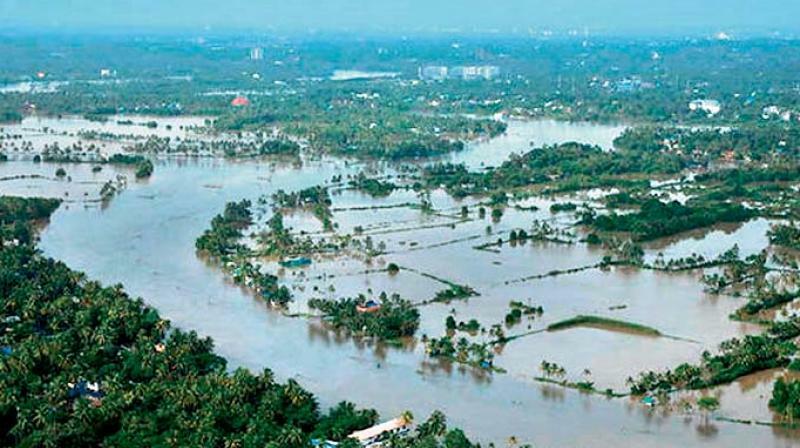 Mumbai: Rating agency Acuite on Friday said that the catastrophic flood that lashed Kerala is likely to impact about 2.2 per cent of the state’s gross domestic product (SGDP). Without central grants in aid, the state fiscal deficit may exceed 5 per cent in this financial year. “The intense and incessant spate of rainfall for a period of over ten days may lead to a GSDP loss of nearly Rs 10,800 crore. This may further lead to a sharp increase in the state fiscal deficit to over 5 per cent in FY19 as compared to an estimate of 3.2 per cent in FY18, which may only get partly offset by the grants-in-aid from the central government and other sources,” it said. The key sectors in the Kerala economy are the tourism and agro-based industries, which are expected to suffer severe losses given the damage to infrastructure assets and the crop or plantations. The agro-based and the plantation industries such as rubber, tea, paper, textiles and food processing are likely to suffer aggregate losses of over Rs 1,200 crore. Acuite also believes that there will be a significant impact on the financial services sector in the state. The retail-lending portfolio of the banks and the NBFCs may witness some deterioration in the asset quality given the loss of employment and livelihood in certain areas. The SME portfolios of the lenders are also expected to be impacted particularly that portion that is linked to the hospitality and the agro-based sectors. It estimates an increase of up to 2 per cent — 2.5 per cent in the NPA levels of the retail and the SME portfolio of banks and NBFCs operating in the state over the near term.